We demonstrate for the first time that a fully bioactive human IL-37, a newly discovered cytokine acting as a fundamental inhibitor of innate immunity, can be recombinantly produced in plant cells. Interleukin 37 (IL-37), a newly discovered member of the interleukin (IL)-1 family of cytokines, plays a pivotal role in limiting innate inflammation and suppressing acquired immune responses, thus holding high potential for treating a wide array of human inflammatory and autoimmune disorders. In this study, we have developed transgenic plants as a novel expression platform for production of human IL-37 (IL-37). Plant transformation vectors synthesizing various forms of the b isoform of IL-37, including an unprocessed full-length precursor form (proIL-37b), a mature form (matIL-37b) and an IL-37 fusion protein in which IL-37b was fused to soybean agglutinin (SBA-IL-37b), have been constructed and introduced into tobacco plants. The expression of all forms of IL-37b was driven by a strong constitutive 35S promoter. Transgenic tobacco plants were generated with each of these constructs. Depending on the form of IL-37b being produced, the expression level of proIL-37b reached approximately 1% of TSP, while matIL-37b expression was substantially lower (0.01% TSP). Fusion to SBA substantially increased the expression of matIL-37b, with the expression level of fusion protein accounting for 1% of TSP. 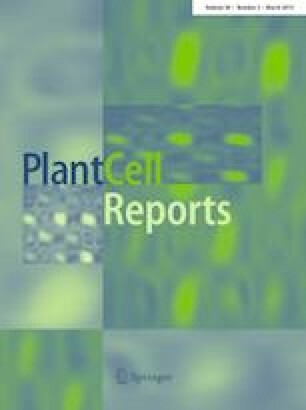 Functional analysis using a cell-based in vitro assay showed that plant-made matIL-37b and proIL-37b are both biologically active, but plant-made matIL-37b exhibited significantly greater biological activity than proIL-37b. These results demonstrate that plants have great potential of being a green bioreactor for low-cost, large-scale production of biologically active IL-37. AN was supported by a Graduate Student Scholarship from Saudi Arabia government. This work was supported in part by the London Health Sciences Centre, London, Ontario, Canada.